We make Vener Lathe Chucks for both Large and Small Spindles, sometimes Intermediate Spindle Chucks if need be. 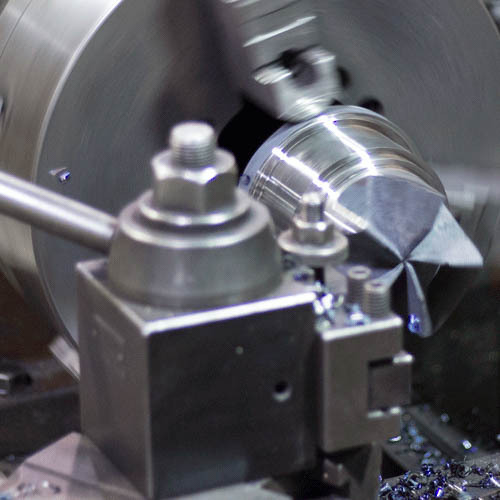 We make each chuck to the specification of our customer for their situation. Some require a more aggressive tooth, others something specialized, we can fit your needs. Options include: threads, body diameter with or without a turndown, length, wrench flats/slots and an optional Nitride Coating to help with wear. 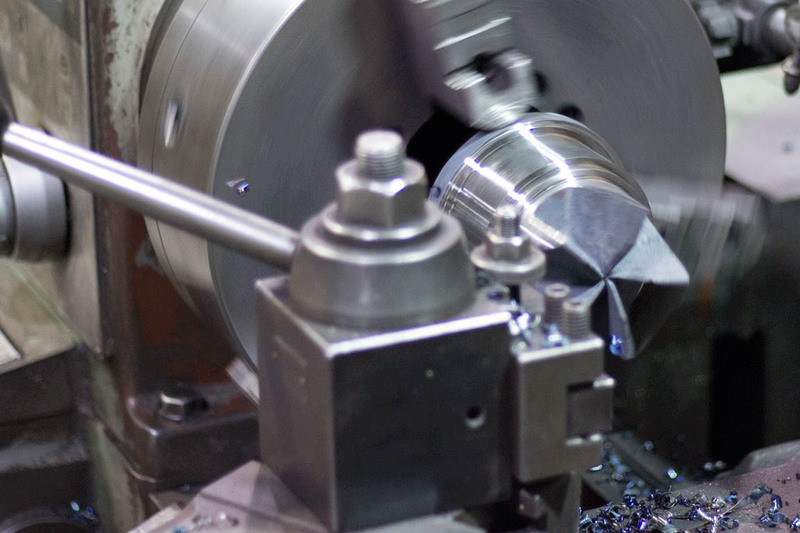 We make large chucks for our Demco Large Spindle, but also the Coe and Raute style large spindles. They offer milled teeth, but less options than our Small Chucks. We do make these to your specifications regarding sizing (OD and ID), any neck-downs/ups and whatever threads you might need. 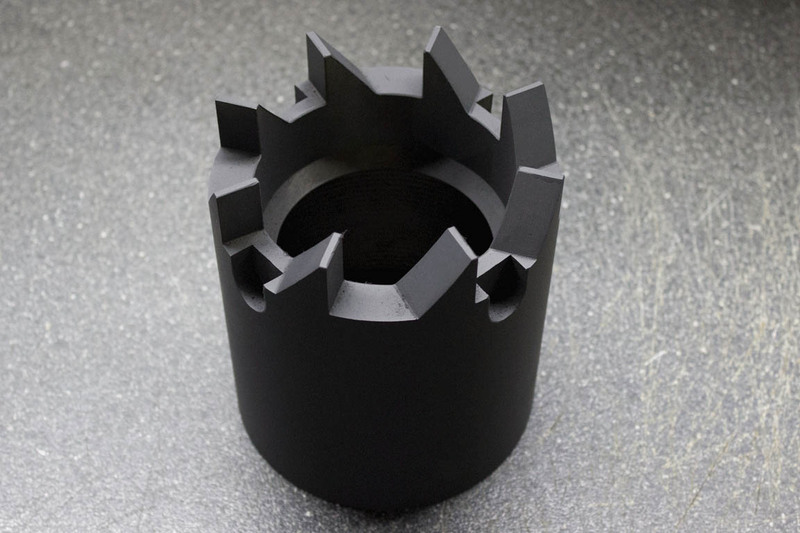 We use castings for the standard tooth pattern chucks we sell. We do however, machine a couple tooth patterns ourselves. We call these our "Mag" Chucks. 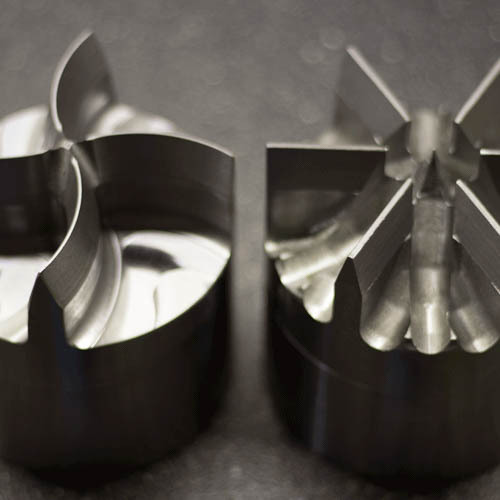 We make a 4 and 6 tooth chuck. 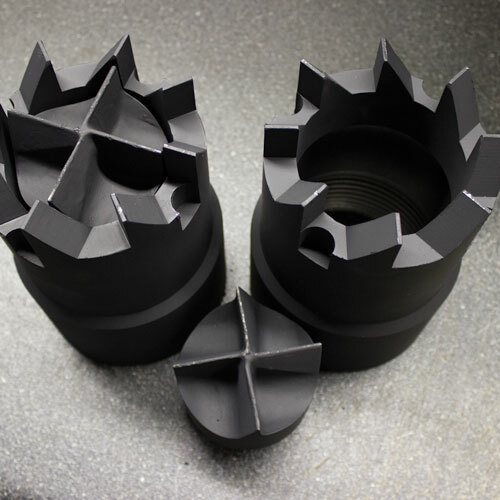 Nitriding is an optional coating we offer on all our chucks. 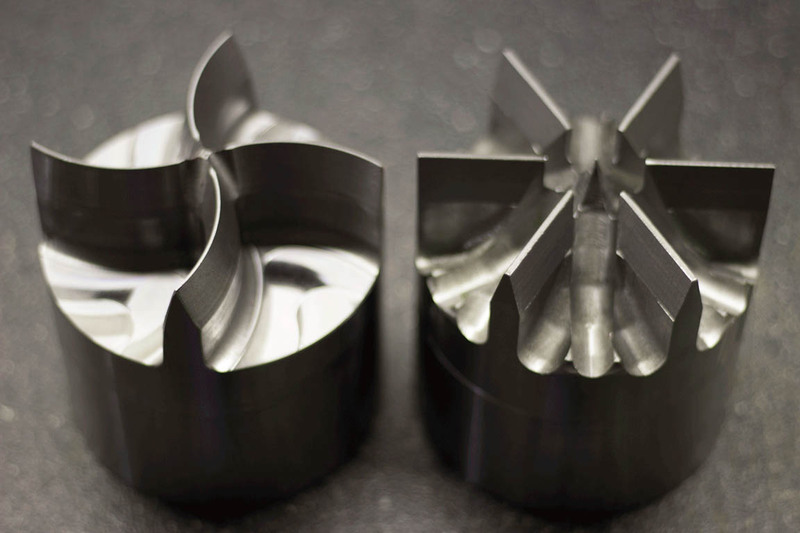 It offers better wear prevention over a non-nitrided chuck. This option does add to the delivery date as we have to send these out to be done. 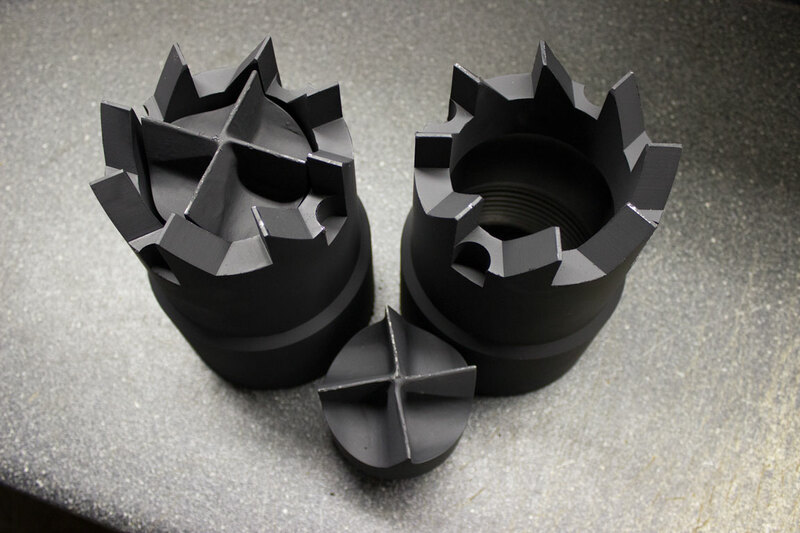 We don't stock any chucks with nitriding. 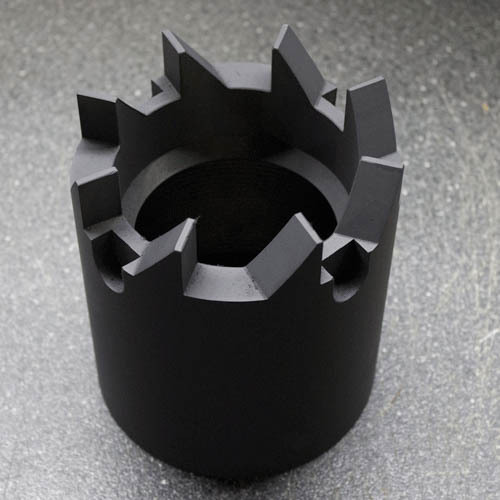 Our Mag Chucks are first turned to blanks, then milled from a single piece of 4140HR. We then finish the chuck based upon your specifications. While we primarly lend our services to Coe Lathes, we do offer Large and Small Spindle Chucks made for Raute Lathes. We make Veneer Lathe Chucks for both Large and Small Spindles, and sometimes Intermediate Spindle Chucks if need be.